Parabens are a class of widely used preservatives in cosmetic and pharmaceutical products. They are used primarily for their bactericidal and fungicidal properties. Not only are they frequently used in cosmetic preparations and toothpaste, but they are also common food additives. Some foods that contain parabens for preservation include beer, sauces, desserts, soft drinks, jams, pickles, frozen dairy products, processed vegetables, flavorings, and syrups. Any cosmetic product containing water is susceptible to spoiling by the growth of fungi or bacteria. Spoiling can cause problems such as mold, discoloration, malodor or breakdown of the product and may or may not be visible to the naked eye. Under certain conditions, an inadequately preserved product can become contaminated, thus allowing harmful levels of microorganisms to grow. As cosmetic products are consumed, these microbes come into contact with the skin and product applicators that have come into contact with the skin, thus potentially exposing the user to unknown bacteria and fungi. 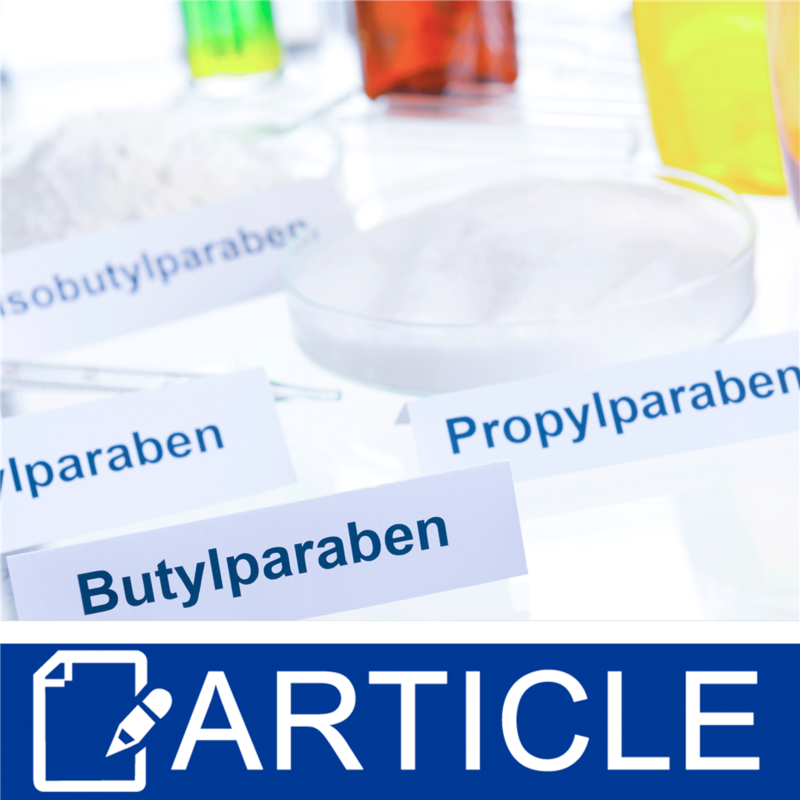 Considerable controversy surrounded parabens following a 2004 study by British cancer researcher, Philippa Darbre, Ph.D., in which parabens were found to be present in malignant breast tumors. The study opened the door to controversy and left several questions unanswered. For example, the study did not show parabens themselves cause cancer, or that they are harmful in any way, and the study did not look at possible paraben levels in normal, non-cancerous breast tissue. Additionally, it is questionable whether the finding was indicative that the parabens are what caused the tumor or if parabens just happen to settle in some cancerous tissue. Since correlation does not equal causation, it is irresponsible to presume that parabens and breast cancer are linked until further studies have been performed to test the hypothesis. Ultimately, it is up to the formulator to determine which preservative is the best fit for each particular product they create. Some formulations have special needs when it comes to preservation, so all options should be assessed so that your formula utilizes the best possible t for your specific needs. Furthermore, it is important to understand that one preservative is not the best fit for every single product you formulate. The raw ingredients comprising your formulation and the desired shelf-life of the product should take precedence over personal opinion when selecting the “best fit” for your product. The FDA requires that products you formulate are safe before you market them to the general public for sale, so it is important that you test your formulations for efficacy regardless of the preservative you choose. Testing should include microbiological testing and stability testing to determine if your preservative is compatible with your formula. In conclusion, the U.S. FDA has stated that there is no reason for consumers to be concerned about the use of cosmetics containing parabens. The FDA has additionally classified both methyl and propylparaben as GRAS, which means they are “Generally Regarded As Safe” by medical and toxicological experts for use in preserving food.